What to start with? Poker game as any other casino game has specific rules and basic instructions that you must be familiar with. You can surely find lots of info online about different gaming aspects like problem gambling, online casino tips and best slots jackpots. On this page you can get the most complete instructions to poker games and learn how to play poker of different variations. Hold’em is the button game it means that the special button to denote the dealer is used in this game variation. The game action begins by betting. Commonly the first two gamblers close to the dealer’s button post the obligatory blind bets, big and small. Now the pocket cards are dealt. Every poker player at poker table gets two hidden cards. Then the first betting round proceeds. It begins from the first gambler after the big blind bettor and is completed as soon as all gamblers have contributed the equal wager to the pot. When the first round of betting ends three community cards are dealt. The poker players verify their hands and post bets. There is the next betting round. As in the first round of betting the poker players may raise, fold, bet, call and check or use all in option (only in no limit games). One more exposed community card (turn) appear. Once again the betting occurs that begins with the first active gambler immediately next to the dealer’s position. As usual at this point of the game the min betting sum is doubled. The round of betting ends and the last community card appear. The final betting round follows. The river card gives the players the last chance to better their poker hands and it can be the card that determines if to stay in the hand or fold. As soon as the final betting round is over the active poker players reveal the cards. The hands are verified in accordance with the standard hand ranks. Don’t forget, that in Holdem poker variation the gamblers can use any of the hole or pocket cards and any of the community cards to make five card hands. So, it is not hard to learn how to play poker game the rules of which are considered to be the standard. Now let's move to other games and learn how to play poker of different variations. To learn how to play poker correctly you must know that one of the main peculiarities of Stud poker games is that they are played with antes posted by all the players before the cards dealing. Seven Stud poker game is the card game in which the gamblers compete against each other. So, as soon as the antes were posted all the gamblers get three cards each, two are hidden and one face-up. The betting proceeds. The poker player that was dealt the weakest face up card is to open round of betting. This player must place bring-in that is commonly the minimum bet or even the half of this amount. After the bets are posted one more card that is called the “fourth street” is dealt face-up. The betting round occurs. 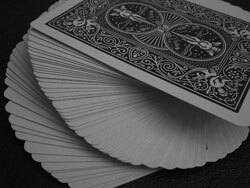 Then two face-up cards which are known as fifth and sixth streets appear one by one followed by round of betting each. Now the gamblers get the final seventh card, which is dealt face-down. The poker players use all seven cards to make their poker hands. The gambler that has the strongest hand wins the pot. In case of two identical hands the pot is split. Omaha poker game is the second widespread poker variation after Texas Hold’em. This is owing to the simplicity of both poker games rules. This game is often played in two forms: fixed-limit and pot-limit. Let's learn how to play poker of this variation in details. Omaha poker is also the button game. The first two gamblers after the button make big and small blinds and the cards are dealt, four cards for each gambler. The game session contains the same game rounds as Texas Holdem poker : they are flop, turn and river, during which five community cards occur on the board. The hands in Omaha poker are must be formed of five cards, however, the most important Omaha rule says that the player is to use two of the pocket or hole cards and only three community cards in any combinations to form the poker hand. In the showdown the players which are still in the game show their cards and the pot is given to the one that obtains the strongest hand. Let it Ride poker game is not very popular as the previous ones, nevertheless, it can be met in some casino halls and you should learn how to play poker of this variation. Not like most cards games Let it Ride is played against the banker. As for the rules Let It Ride is in fact the type of five card stud poker game. First the players have the opportunity to place up to three different bets one of which is the bonus wager (get to know the poker rules set by every card room). The poker players get three face up cards and the dealer’s community cards appear face down on the table. The first community card is exposed and now the gamblers can decide to quit the game or stay, in other words Let it Ride. After the second dealer’s card is revealed the poker players take the decision again and the hands are compared for the win. The game prizes are awarded according to the special payoff chart (learn how to play poker and how the players are paid off at the casino you choose to gamble at). This is one more not very widespread poker variation. It is now very difficult to learn how to play poker of this variation. Pai Gow is played against the house. Every poker player and the dealer receive seven cards from that they have to form two good poker hands. Five cards hand which is also known as "bottom" and "behind", and "big" is ranked according to the standard ranking and two cards hands are made up according to the special Pai Gow hands rankings. So, learn how to play poker on our website and move to the real poker game at the premium online gambling halls. If you choose to visit some other gambling portals check carefully the certificate and license.